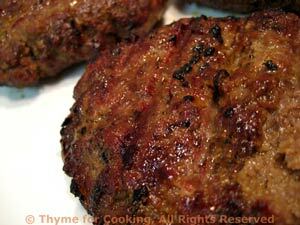 Grilled Burgers, simple, for summer, Thyme for Cooking Barbecue. Shape into 3 or 4 patties. Cook on barbecue grill over direct heat for 4 - 5 minutes per side.